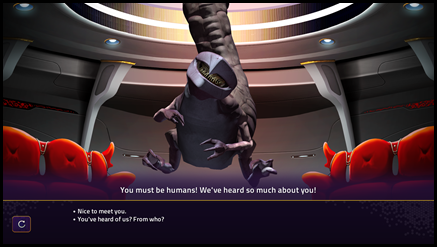 Star Control is a single player RPG where you command a single ship but the galaxy is filled with characters with their own agendas. 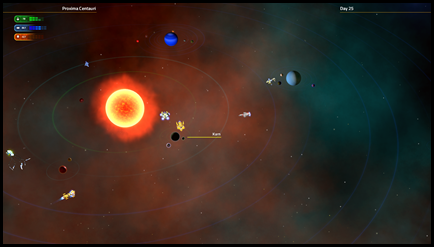 Players travel from star system to star system via Hyperspace. Hyperspace is a hyper dimension that forms an alternative space-time adjacent to what we call "true space". It can be a bit..trippy to travel through it but it allows for travel between stars in a faction of the time it would take to go via true space. 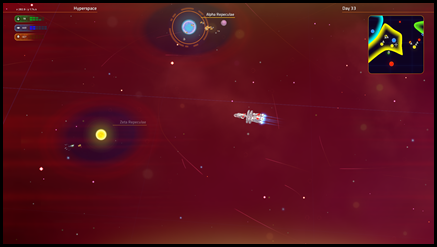 This week we updated the visuals in hyperspace to give a better sense of movement when no stars are around. There are a lot of different alien species in the Scryve sector alone (let alone the outer spur). Humanoids are quite exotic due to their rarity. Beings are fascinated in seeing a hairless bipedal ape. 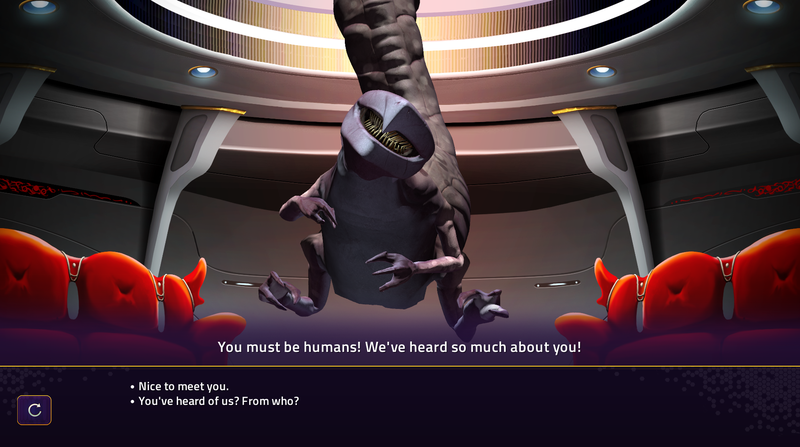 The Phamyst are the classiest aliens in the known galaxy. Much of our focus right now is in polishing and iterating on the story and the AI. 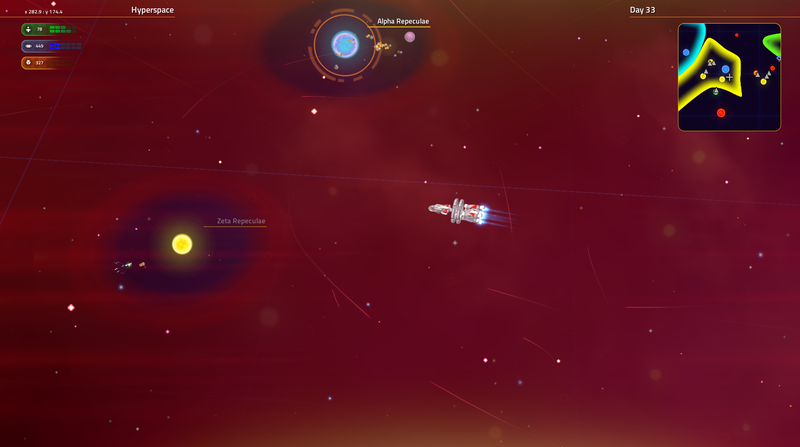 There are thousands of planets but also thousands of other ships running around doing their thing as well. On a personal note, this week my design work has been spent on helping with story and pacing which meant I have to...gasp, travel the worlds without any cheat keys. This was particularly enjoyable but also embarassing because the AI controlled aliens really want nothing to do with us because...well, we're newbies on the galactic scene. This means that they tend to avoid us and our early game ship just can't intercept them because..well, we're newbies. But it's highly enjoyable to see the subtle but definite effort the aliens put in to avoid me. It's so effortless and insulting simultaneously.